May 19, 2017 – PPW: Kamilla Kaine defeated Alyssa Sky and Dynamite DiDi and Hawlee Layne and Lea Nox and Lindsay Snow and Red Velvett and Roxy Rouge in a battle royal to win the vacant Diamonds Division Starlight title. 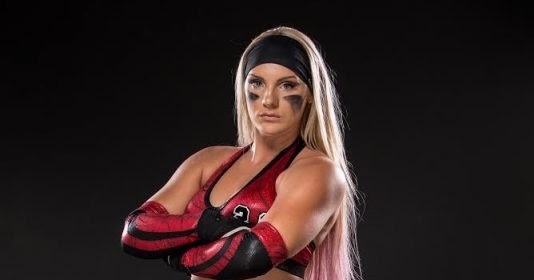 Dynamite DiDi defeated Kamilla Kaine by disqualification. Kaine retains the Diamonds Division Starlight title. July 1, 2017 – PPW: Kamilla Kaine defeated Dynamite DiDi to retain the Diamonds Division Starlight title. July 9, 2017 – AWE: Aria Blake, Isla Dawn and Su Yung defeated Team PK (Kamilla Kaine, Kiera Hogan and Priscilla Kelly). July 30, 2017 – AWE: Kamilla Kaine defeated Ashton Starr. August 1, 2017 – RPW 2nd Year Anniversary Show: Roxy Rouge defeated Kamilla Kaine to win the vacant women’s title. August 6, 2017 – ACW: Kamilla Kaine defeated Natalia Markova. August 28, 2017 – AWE: Kamilla Kaine defeated Aspyn Rose. September 15, 2017 – SHINER 45: Kamilla Kaine defeated Miss Hannah in a dark match. September 16, 2017 – ACW: Kamilla Kaine defeated Lea Nox. September 25, 2017 – AWE: Kamilla Kaine defeated Isla Dawn. October 20, 2017 – USWA: Kamilla Kaine defeated Ava Storie. October 21, 2017 – PWX: Kamilla Kaine defeated Lacey Lane. November 11, 2017 – FUW: Kamilla Kaine defeated Natalia Markova. November 19, 2017 – AWE: Kamilla Kaine defeated Shotzi Blackheart. December 2, 2017 – IWR: Sahara Se7en defeated Kamilla Kaine. December 16, 2017 – IWR: Kamilla Kaine defeated Sahara Se7en. December 27, 2017 – AWE: Kamilla Kaine defeated Priscilla Kelly. January 20, 2018 – FTPW: Allie Recks defeated Lindsay Snow and Kamilla Kaine in a 3-way match to win the Ladies title. February 17, 2018 – USWA: Kamilla Kaine defeated Amber Nova. March 11, 2018 – AWE: Kamilla Kaine defeated Amy Rose. March 17, 2018 – PPW: Dynamite DiDi defeated Kamilla Kaine and Amber Nova in a 3-way match to win the Diamonds Division Starlight title. March 24, 2018 – IWR: Kamilla Kaine defeated Justine Silver. July 22, 2018 – PWX: Jake Manning defeated Kamilla Kaine and Savannah Evans in a 3-way match. October 21, 2018 – NWA 70th Anniversary Show: Nick Aldis w Kamilla Kaine defeated Cody w Brandi to win the NWA World heavyweight title. November 9, 2018 – MCW: Nick Aldis w Kamilla Kaine defeated Brandon Scott in a best 2 out of 3 falls match to retain the NWA World heavyweight title.